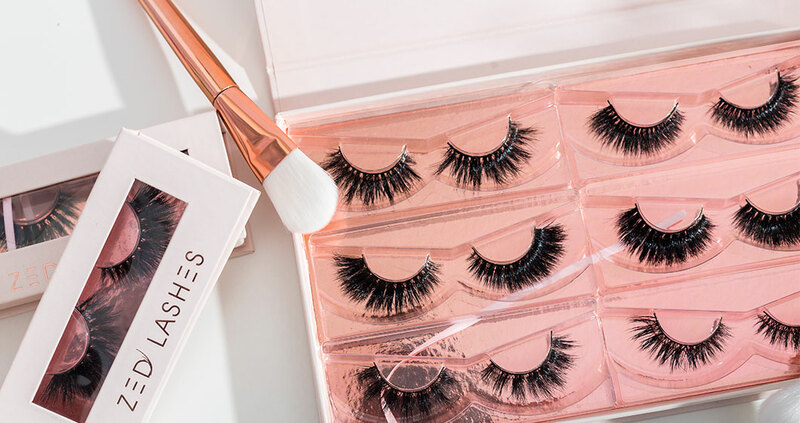 Canberra MUA and Director of Z&CO, Zoe Krahe has heard the cries of girls Nation-wide, coming to the rescue with her new lash line ZED Lashes. When we say ‘heard the cries,’ what we actually mean is she has single-handedly seen tears flush through flimsy, acrylic-like lashes. You know, the type that ends up lost somewhere in your sheets after a big night out? Any girl who has gone through the rigmarole of ordering lashes internationally (Lilly we are looking at you) exhaled a breath of fresh air when zedlashes.com.au went live yesterday. In Zoe’s line of work, lashes definitely speak louder than words. She uses up to 30 sets of lashes a week on clients. Working from her own sketches, Zoe spent six months meeting with suppliers, sourcing materials and perfecting a lash to her standard. Offering seven styles with the perf amount of fluff that encapsulate drama –without being too comical – ZED Lashes have our wink of approval. ZED Lashes are made using ethically-sourced mink hair with a silk eyelid band making them easy to apply – thank the beauty gods! The lashes are waterproof and can be worn up to 20 times. As a MUA Zoe gets around a palette (or two, or ten) so although the lashes aren’t your natural asset, it was only natural her new brand ZED Lashes came in palette style – which I might add can be personalised. In my friendship group, we base our night out around ‘to lash or not to lash.’ From winged options that elongate the eye, everyday go-to’s and after dark deep looks I think we are headed for many more ‘to lash’ night outs.